When future attorneys attend law school, they’re required to study and gain an understanding of all areas of the law. Once they’ve obtained their JD or Juris Doctor degree and passed the Bar Exam, they’re qualified to practice law. General practice attorneys are those that don’t pick a particular area of the law in which to become an expert. They are capable of handling a wide variety of legal issues for both individuals or businesses. But, the code of law in the United States is large and complicated, and many lawyers choose to specialize in specific practice areas. Some of the specialities areas an attorney may choose are employment law, entertainment law, divorce law, tax law, medical malpractice, and a great number of others. When an attorney focuses on a specific area of law, he or she have the advantage of becoming very experienced and knowledgeable in that practice area. Gregory A. Yates, Michael Shubeck and associates have over four decades of combined experience serving as personal injury attorneys in Rapid City, South Dakota. A good way to understand the difference between general practice vs. specific practice attorneys is to compare them to primary care doctors vs. surgeons. When you’re in need of a check up or are suffering from a relatively common ailment such as the flu, you will make an appointment to see your primary care doctor. If the diagnosis is something that he or she can treat in their office, they will take care of it and send you on your way. Should your issue turn out to be more complicated, and possibly require surgery, your doctor will send you on to a surgeon. The same concept applies with attorney referrals. If you are in need of something outside of their skill set, your general practice lawyer will provide an attorney referral to someone who is better qualified to represent you. For example, say you have a family lawyer who performs legal tasks such as the execution of your will or reviewing a real estate transaction before you sign the contract. However, if you suffered major injuries in a car accident that was determined to be caused by a defect in the roadway design, your attorney will refer you to a good personal injury law firm to handle the case. 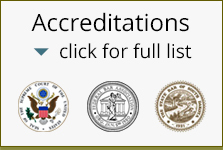 The Rapid City Law Firm of Gregory A. Yates and associates has a long and successful history of securing favorable settlements for clients injured in South Dakota. We are experts in both state and federal law regarding personal injuries and can help make sure you’re compensated financially for all current and future expenses incurred as a result of your accident. Call to schedule a free consultation to discuss how to proceed with your personal injury case.